I am joining this week’s Nonfiction Picture Book Challenge hosted by KidLit Frenzy. For the next few weeks, we aim to share non-fiction picturebooks about our current theme on astronomy, science fiction, and steampunk. Today I have picturebook biographies of Galileo Galilei. Leave it to award-winning author-illustrator Peter Sis to break convention and come up with unorthodox layouts of picturebooks. 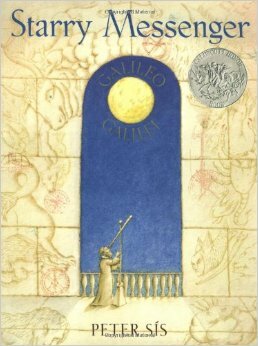 Winner of the Caldecott Honor Book, Starry Messenger pays tribute to the life of Italian scientist and philosopher, Galileo Galilei. Galileo’s life was as bright and brilliant as the stars in the universe. His findings and observations made him famous, and this greatly worried the Church. Like the stars in the sky, Galileo’s “light” diminished when the Inquisition declared Galileo guilty of heresy. He was placed under house arrest until the end of days. A ‘stellar’ theme resonates throughout the story. The term “starry messenger” refers to several things in the book. 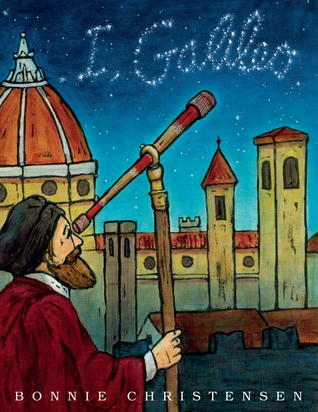 First, it was described that Galileo was “born with stars in his eyes.” Second, Galileo published a book of the same title – Starry Messenger – that contained his illustrations and observations from his telescope. 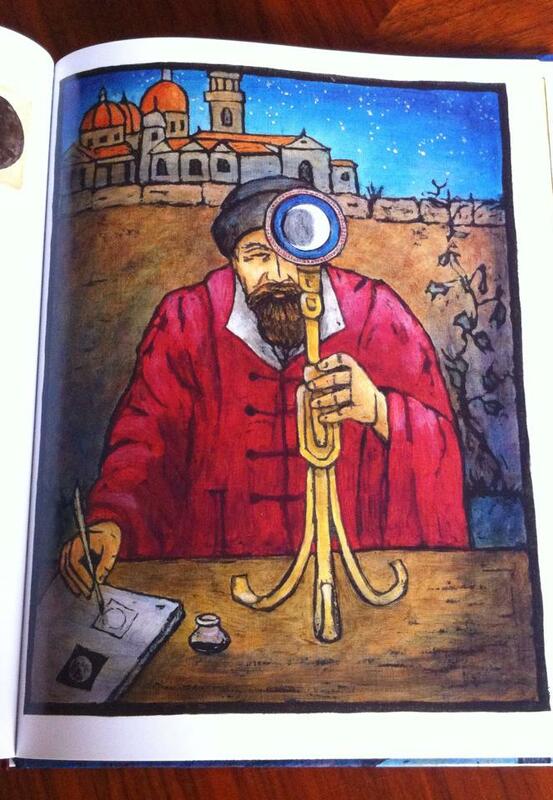 Third, and most importantly, Galieo’s brilliant experiments and observations entertained the people in his city. They referred to Galileo as their ‘star,’ and they celebrated stars as much as they celebrated his discoveries. While I certainly enjoyed looking at the colorful pages of Starry Messenger, I find that the extra notes that appear on the side, presented in various formats, are sometimes difficult to read. Taking into consideration the style that Peter Sis used in the book, Starry Messenger is a picturebook biography that is meant for older readers. This is not to say, however, that younger children will not enjoy reading the book. 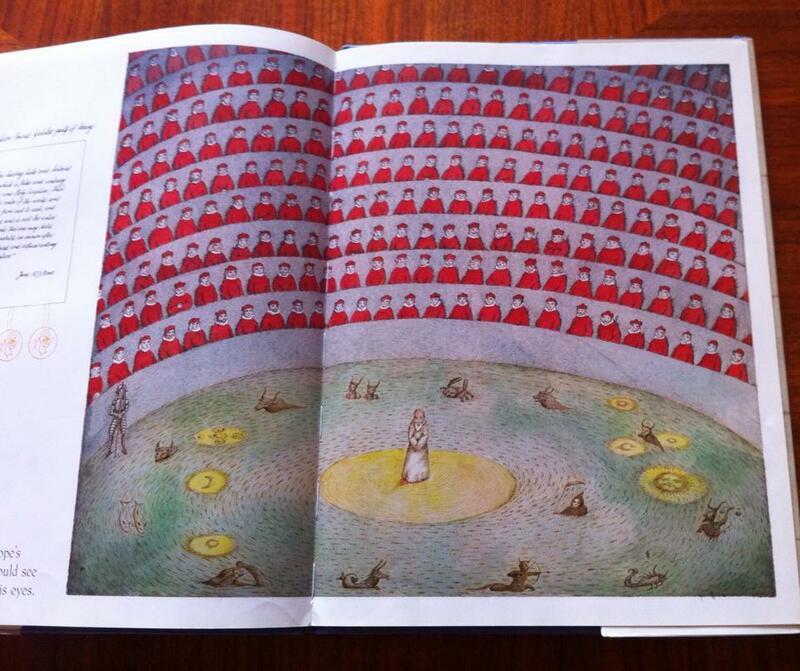 The illustrations are gorgeous and appealing to children of all ages, and the text at the bottom of each page is minimal and easy to understand. Book borrowed from Barberton Public Library. 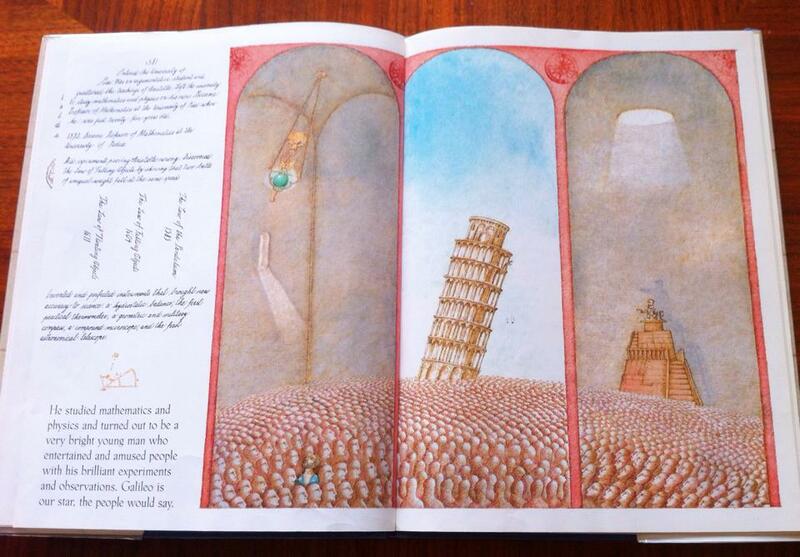 Here is another award-winning author-illustrator who wrote about Galileo Galilei. 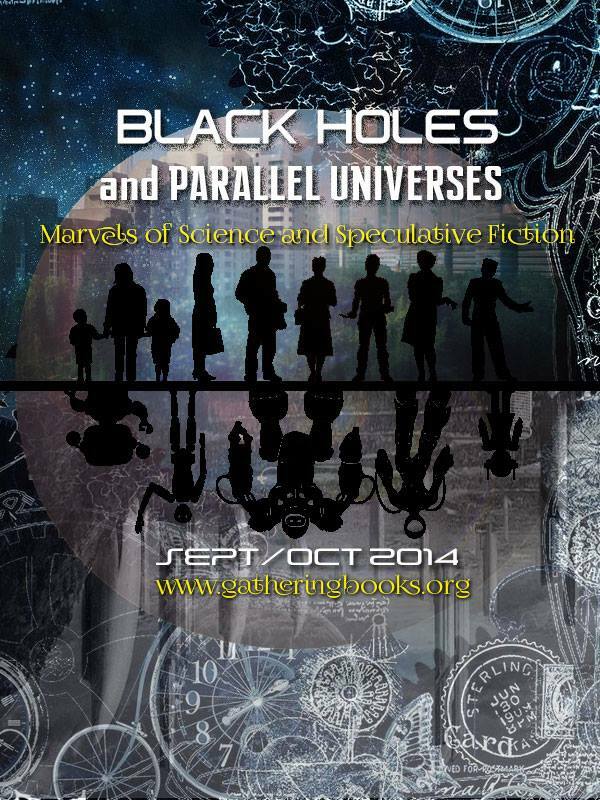 Bonnie Christensen’s works have been featured here on GatheringBooks (A Single Pebble: A Story of the Silk Road and The Princess of Borscht). She is also known for her book entitled, Woodie Guthrie, Poet of the People, which won numerous awards. Because I, Galileo is also about the life of Galileo Galilei, it is no surprise that this book shares contents that are similar to Peter Sis’ Starry Messenger. It should be noted that I, Galileo was written in the first-person point of view. The illustrations were rendered in oil and gouache and more vivid than the lighter toned illustrations in Starry Messenger. In addition, I, Galileo has longer text but is easier to read. Despite the slight differences in format and content, I, Galileo makes a good companion reading to Starry Messenger. Each book interprets the life of Galileo in its own way, containing bits and pieces of Galileo’s life that could not be found in the other.